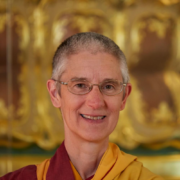 Gen Kelsang Delek is a western Buddhist nun who has been teaching meditation for 24 years. She is the resident teacher at KMC Fraser Valley. Anxiety and stress are increasingly common problems for people in our busy, modern world. Meditation is an effective way to deal with negative states of mind and create a sense of peace and mental freedom. Through Buddhist meditation and mindfulness techniques, we learn to control our mind rather than allowing our mind to control us. By accepting our painful feelings rather than being panicked by them, we can keep a calm mind in all situations. At this retreat, open to everyone, discover how to have a happy, anxiety-free life. 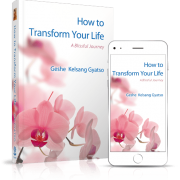 Gen Delek will give teachings and guide meditations that will enable us to bring more peace and stillness into our daily lives. Everyone is welcome to this retreat. No prior experience is necessary.